In 2010, the City of Mapleton had reconstructed a segment of County Highway 11 through town as part of a beautification project. 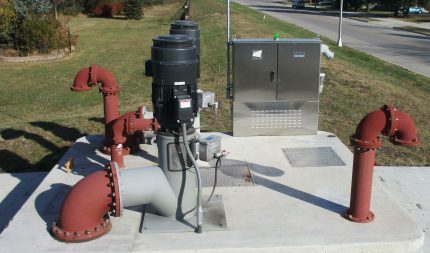 One of the storm sewer discharge points required an upgraded gatewell at the location of the city’s FEMA accredited levee. The reconstruction of County Highway 11 was completed under budget, which allowed the city to use the remaining funds for a local share of constructing a new lift station. Funding would need to be secured to make the project financial feasible for the City of Mapleton. 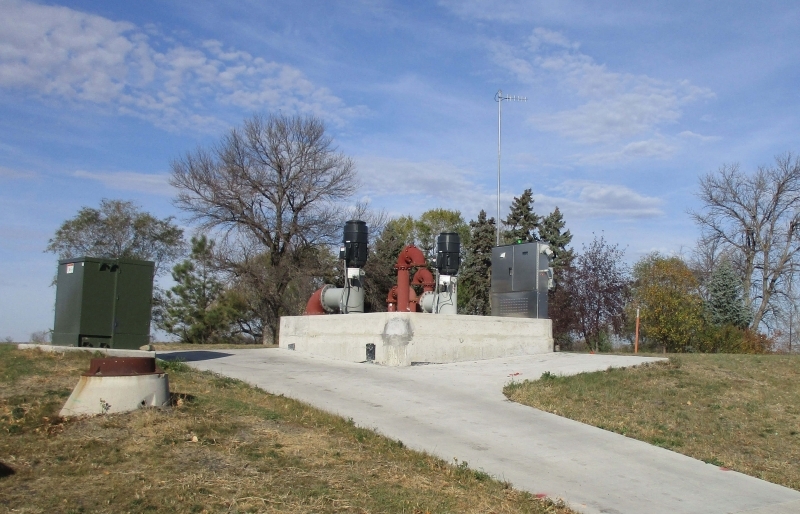 The storm sewer lift station consists of two 11 CFS pumps for large events as well as a small 0.75 CFS submersible pump for low flow periods. The lift station structure includes an interior concrete wall with a sluice gate that is used during flood events. Normal operation is gravity flow through the structure with the sluice gate open. The electrical controls have telemetry and level transducers to monitor interior water levels in real time during floods. Moore prepared the preliminary and final design concept for the lift station; completed a review of the existing storm sewer capacity for pump design; completed the design plans and bidding documents. 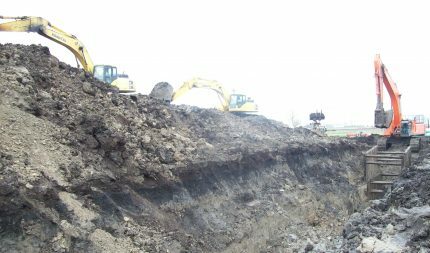 Moore Engineering continues to work with the City of Mapleton to provide regional storm water modeling and identify additional areas for storm water storage for the 100-year event. Moore assisted in securing $230,000 for the project from a Community Development Block Grant through Lake Agassiz Regional Council. 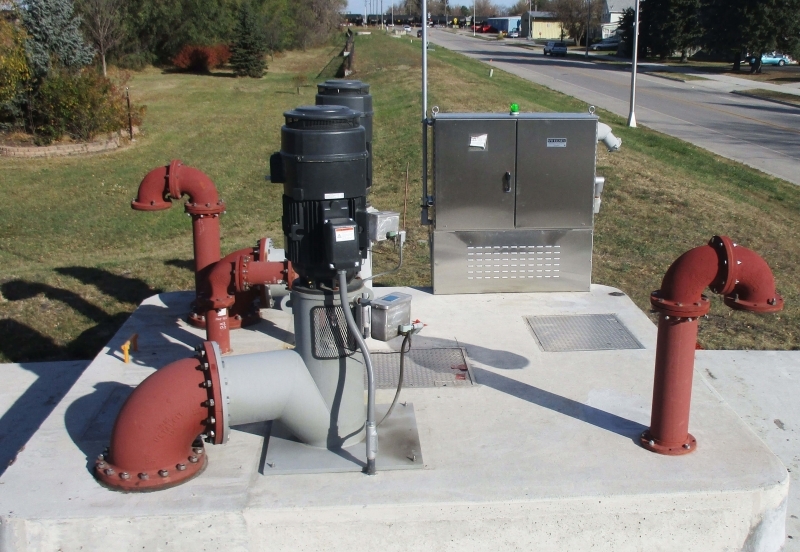 Moore Engineering then prepared a funding application for the Cass County Flood Risk Reduction Sales Tax Fund and secured additional funding to match one-third of the local share in combination. Another one-third of the local share was paid by the Cass County Highway Department.